Kim Min-kyo (Hangul : 김민교, born April 15, 1974) is a South Korean actor and director. He is well known for a cast member ('crew') on the tvN entertainment show Saturday Night Live Korea . Saturday Night Live Korea is a South Korean late-night live television sketch comedy and variety television program broadcast on general service cable channel tvN. It is adapted from the long-running American TV show Saturday Night Live on NBC, and the show's executive producers are Lorne Michaels and Jennifer Danielson from SNL Studios and Broadway Video, which licences the format. The weekly program premiered on December 3, 2011, and aired on Saturdays at 22:50. Daehangno is a neighborhood in Seoul north of the Han River within Jongno-gu and Seodaemun-gu. Seoul Institute of the Arts (SeoulArts) is a South Korean arts university founded by Yoo Chi-Jin in 1962. The Ansan Campus was completed in February 2001 and is the designated centre of arts education, whilst the Namsan Campus is the center of art experience. SIA has 2400 students in 13 departments. It offers a three-year associate degree program as well as a four-year program for a bachelor's degree. The incumbent president of the university is Yoo Duk-Hyung. Jang Jin is a South Korean film director, theatre director, playwright, screenwriter, film producer, actor and TV personality. Kim Seul-Gi is a South Korean actress who starred in many critically acclaimed dramas including Oh My Ghost (2015), Splash Splash Love (2015) and The Guardians (2017). She is also a former cast member of tvN's entertainment show SNL Korea. Go Kyung-pyo is a South Korean actor and comedian. He gained recognition for his role in the television series Reply 1988 (2015–16) and has since starred in Don't Dare to Dream (2016) and Chicago Typewriter (2017). Go starred in his first leading role in KBS2's Strongest Deliveryman in August 2017. Kim Soo-ro is a South Korean actor. Munhwa Broadcasting Corporation is one of the leading South Korean television and radio network companies. Munhwa is the Korean word for "culture". Its flagship terrestrial television station MBC TV is Channel 11 (LCN) for Digital. Infinite Challenge is a South Korean television entertainment program, distributed and syndicated by MBC. Jeong Jun-ha is a South Korean comedian and entertainer. His well-known motto is "(Whether they) give love or not, (he) always gives love: Jeong Jun-ha". Moon Hee-joon(문희준), singer and songwriter, famed as former H.O.T. (boyband) member, on Real Ton Hyuk , as an SNL Digital Short(Korean), and additional skits especially on Season 4. A Muse is a 2012 South Korean film adaptation of author Park Bum-shin's novel Eun-gyo. A 70-year-old poet falls in love with a high school girl and is inspired to write a short story about her, but his star student, who is jealous of the relationship, steals his literary work. 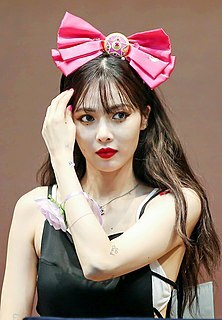 Kim Hyun-ah, better known by the mononym Hyuna, is a South Korean singer-songwriter, rapper and model. She debuted as a member of the girl group Wonder Girls in February 2007. After leaving the ensemble shortly after, Hyuna subsequently left JYP Entertainment and joined the girl group 4Minute, under Cube Entertainment. 4Minute debuted in June 2009 and went on to become one of the most popular girl groups in the country. Gwanghae-gun or Prince Gwanghae was the fifteenth king of the Joseon dynasty. His personal name was Yi Hon. As he was deposed in a coup d'état, later official historians did not give him a temple name like Taejo or Sejong. 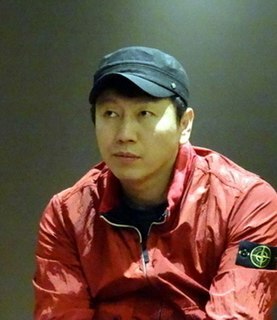 Gang Dong-won is a South Korean actor. Hwang Jung-min is a South Korean actor. He is one of the highest-grossing actors in South Korea, and has starred in several box office hits such as Ode to My Father (2014), Veteran (2015), The Himalayas (2015), A Violent Prosecutor (2015) and The Wailing (2016). Hwang is the third actor in South Korea to be part of the "100 Million Viewer Club" in Chungmuro. Oh Ji-ho is a South Korean actor. He is best known for the television dramas Couple or Trouble (2006), The Slave Hunters (2010), Queen of the Office (2013) and My Fair Lady (2016). Cho Jae-hyun is a South Korean film, stage, and TV actor. He is commonly dubbed "director Kim Ki-duk's persona" since Cho has starred as leading and supporting characters in almost all films directed by Kim. Moon Sung-keun is a South Korean actor and politician. He has won three Blue Dragon Film Awards, two Baeksang Arts Awards, and two Chunsa Film Art Awards for Best Actor. Kim Min-jong is a South Korean actor and singer who was a matinée idol in the 1990s. His recently notable role was in Mrs. Cop (2015) and Mrs. Cop 2 (2016). Uhm Hong-sik, known professionally as Yoo Ah-in, is a South Korean actor, creative director, and gallerist. He is known for playing a diverse spectrum of roles in both television and film, where he often portrays dynamic characters who exhibit significant personal growth. Five Senses of Eros is a 2009 South Korean omnibus film with five short films depicting love and desire, but in different styles and genres. The shorts are: His Concern, directed by Daniel H. Byun; I'm Right Here, directed by Hur Jin-ho; The 33rd Man, directed by Yoo Young-sik; In My End Is My Beginning, directed by Min Kyu-dong; and Believe in the Moment, directed by Oh Ki-hwan. Punch is a 2011 South Korean coming-of-age film directed by Lee Han about the budding mentor-mentee relationship forged between a rebellious high school student from a poor household and his meddlesome homeroom teacher who moves in next door. Woollim Entertainment is a South Korean entertainment company founded in 2003 by Lee Jung-yeop. Kim Eun-sook is a South Korean screenwriter. She wrote the popular television dramas Lovers in Paris (2004), On Air (2008), Secret Garden (2010), A Gentleman's Dignity (2012), The Heirs (2013), Descendants of the Sun (2016), Guardian: The Lonely and Great God (2016–2017) and Mr. Sunshine (2018). Basketball is a 2013 South Korean television series starring Do Ji-han, Lee Elijah and Jung Dong-hyun. It aired on cable channel tvN from October 21 to December 31, 2013 on Mondays and Tuesdays at 23:00 for 18 episodes. Timing is a 2014 South Korean animated film based on the webtoon of the same name by cartoonist Kang Full. The film was directed by Min Kyung-jo, and features the voices of Park Ji-yoon, Um Sang-hyun, Ryu Seung-gon, Yeo Min-jeong, Sim Gyu-hyuk and Sung Wan-kyung. ↑ SNLK Kim Min-kyo, misapprehended by his extremely real gay-acting(Korean), Hankook Ilbo, December 30, 2012, Retrieved on January 15, 2013. ↑ Join knowledgeable adult viewers with SNL Korea(Korean), Starnews, May 23, 2012, Retrieved on January 15, 2013. ↑ Kim Min-kyo, An awesome man who's between pristine-gay and special commander Archived 2016-03-03 at the Wayback Machine (Korean), DC Interview, DC news, March 29, 2013, Retrieved on June 10, 2013. ↑ Jeong Seok-hee Column - SNLK's leading crew(Korean), Naver news, May 28, 2013, Retrieved on June 8, 2013. ↑ Review of Insolent Romance Archived 2013-06-24 at Archive.today (Korean), Newsen, October 17, 2012, Retrieved on June 9, 2013. ↑ R19-rated, a codename of current society Archived 2016-03-05 at the Wayback Machine (Korean), Woman Dong-a, November 15, 2012, Retrieved on June 10, 2013. ↑ Variety's Rising Star Kim Minkyo, To become rich with Infinite Challenge (Korean), TVReport, August 3, 2013, Retrieved on August 3, 2013. ↑ Laugh and Enjoy a Satire of the Presidential Election, "Yeouido Teletubbies", Kyunghyang Shinmun, November 7, 2012, Retrieved on January 18, 2013. ↑ "[공식] 김민교, MBC '아이템' 출연 확정…주지훈·진세연과 호흡". Sports Chosun (in Korean). 27 September 2018. ↑ "You Are the Only One KBS World TV playlist". YouTube. ↑ Interview: Stage-director Kim Min-kyo(Korean), Newstage, January 29, 2013, Retrieved on January 31, 2013. ↑ "G.NA - 예쁜 속옷 (G.NA's Secret)". YouTube. May 11, 2014. ↑ Actor Kim Min-kyo marries in January 2010, with a 10-year-younger female composer(Korean), Starnews, November 6, 2009, Retrieved on January 15, 2013. 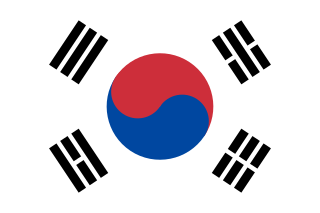 ↑ this Korean word 'Kyo'(교) means a religion itself, or its religious belief. ↑ Kim Min-kyo has a qualified Martial Arts master(Korean), tvdaily, May 1, 2013, Retrieved on June 9, 2013.